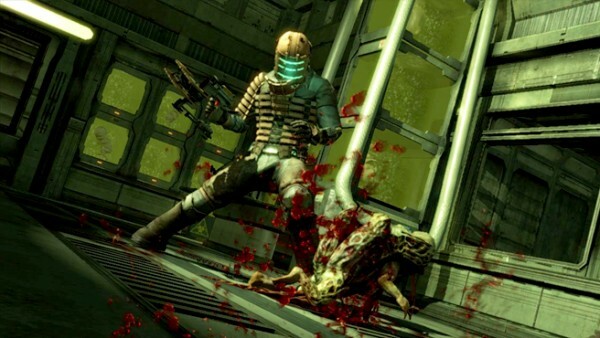 Two months ago we found out that EA had a job listing up for a new game in the Dead Space franchise. What we didn’t hear about back then was which console the game would appear on. Now, thanks to a job request on Creativeheads.net, we know that the game will be released on the Xbox 360 and PS3 as well as a third console that remains yet to be announced. Could this unknown console be the Wii U? It’s possible, but it could also be either Sony or Microsoft’s next system. All we can really do at this point is speculate, so we’ll have to wait and see. If it’s already coming out on the PS3 and the 360, I’d highly doubt the unannounced console would be one of their successors. While it’s looking promising that it could be the Wii-U, it’s also possible it could be the Vita. I think it’s pretty likely that console is the Wii U. EA is strongly supporting the Wii U.
Wii U was announced. So unannounced console might be PS4 since sony said they have a PS4.. They mean they haven’t announced what game the third console would be for, not that it was an unannounced console. Matter of fact I believe I heard Phil is hopping on a plane next week to Kyoto to see the final Wii U hardware at Big N’s headquarters. where did u see it? there’s only a 33% chance that it’s on the Wii U, there’s 3 announced systems displaying required power to push a Dead Space game, and that is first, the Wii U, second the Vita, and third the 3DS, and they all equally have a chance for this project to be developed for because as far as we know, EA might be making something simpler, like Dead Space Extraction for the Wii, which was stupid in my opinion, and did indeed make the same steps in hiring new staff instead of using its main arch staff for Dead Space. Whoa. I just noticed this was written by Wertville. :O What a surprise!